Has Anyone Here Tested the SD1A203T-GN Yet (2MP 3x Starlight IR PTZ Network Camera)? Discussion in 'Dahua' started by Arjun, Jan 24, 2018. 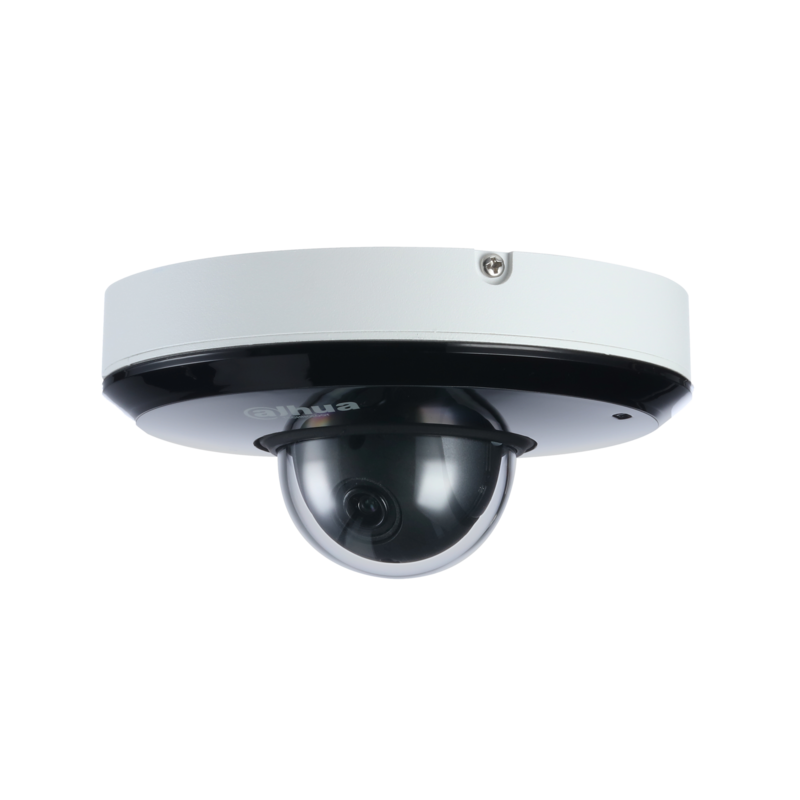 This PTZ Dome Camera is similar to SD12200T-GN, but contains built in Infra-red up to 50ft. Would be potentially useful in a small-scale environment. What do you all think? Have not tested but that is exactly what I've been looking for to replace some older mini ptz cameras. I will be ordering some.. I'm guessing these must have just came out- never seen these before. How strange. I just saw that last night, and was going to ask almost the same question. In fact it (they) was still open on my computer. Plus.., what really stands out is the wide HFOV (IMO). I have recently noticed that there are virtually no security or conference PTZ cameras with wide angle (greater than about 70 deg) horizontal FOV. I suspect it is hard to keep the distortion from the lens under control. In general i don't care about the wide angle past about 85 deg due to lost pixels, but in this case, i want to place the camera close to people and observe them. I like that it is small and a Starlight with WDR. @EMPIRETECANDY , can you get either of these? I would really like to get a software solution for video conference use, such that it presents itself as a USB camera. This would be almost perfect to get the front participants and the distant white board. A 10x zoom would be better without loosing the FOV, but that simply does to exist in any form as far as i can tell. Interesting, it looks like the IR might be in the upper housing of the camera. actran and aristobrat like this. Where did you find these available? This would be perfect for the front door area of my house. I could see anyone coming up to the door and then still be able to check and see if there are packages. Waiting to see if Andy can get this. This model just book some, i think have to wait after Chinese new year, so maybe Early March. Hope it can be here earlier. weigle2, mat200 and Arjun like this. I'll set a reminder for the beginning of March! Here are the brackets details, i think can hang on the ceiling directly too. mat200 and Arjun like this. Thanks, I'd like to see if this can be mounted directly onto a wall, vertically, without a mount. Can drill a 3/4" hole into the wall to route the necessary cable. However, from design perspective seems to me it is designed to be originally mounted in a horizontal plane, but special mount is available to affix vertically and position / hold camera horizontally. How much do you think would the camera stick out if it is mounted using the wall mount (PFB305W + PFA107)? Hmmm....someone needs to do a proper review. I'm curious how noisy it will be when it actually pans/zooms. that looks to be the fixed lens version (PT no Z) of the 203, which should be fine for some testing. @Arjun , what would be the issue mounting vertically? It looks to have plenty of range of motion in all three axis and the image can flip 180 and 90.
looney2ns, Arjun, aristobrat and 1 other person like this. Baja, Arjun, Steff and 3 others like this.